I have always loved pinwheels and when Stephanie came out with this stamp set I was so EXCITED!! Here is my card that I created using this stamp set. This was the first time I have used them and they were fun to play with. I am sure that I will be ordering more in the future. Monday is a holiday here in Saskatchewan. Wishing everyone a safe and fun weekend! 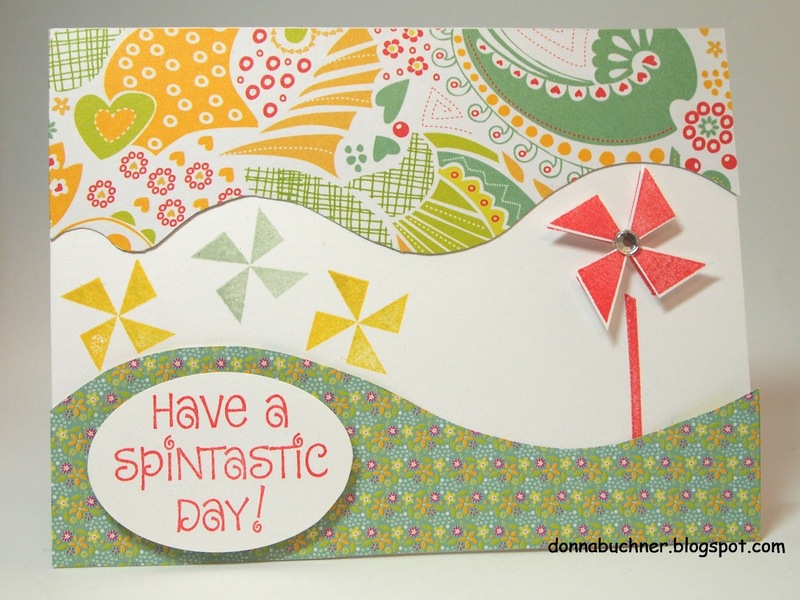 Love your cheery and lighthearted card, Donna! If ever I came across something that you crafted that I didn't like I would tell you. Well guess what? That has not yet happened!!!!! Just loving the time card and the one with the angels and the heart. This pinwheel one brings on the giggles because it is so cute and daydreamish. Love your stuff Donna.